Hello there, I am back today with my final post as a guest designer for Concord & 9th. 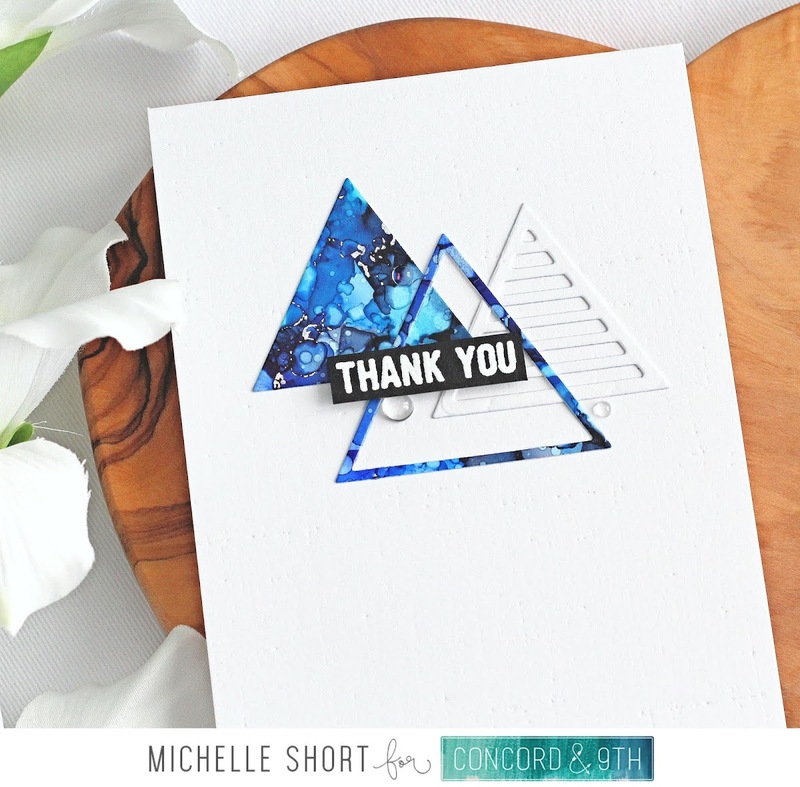 Today we are using the fabulous Geometric stamp set and dies. This is a wonderful set that can be used for so many occasions and I think is particularly great for cards for men. My first card uses scraps of alcohol ink backgrounds that I already had (what a great way to use them up!). I took the background that was made with adding various shades of blue alcohol ink on to Yupo paper and then adding silver foil on top, and cut it using the Geometric Dies. I used the triangle in the set. The great thing is, with two dies you can get multiple different layers of the triangles. I ended up with a triangle frame and a solid one from the alcohol ink background and then I cut a further triangle from white cardstock.. 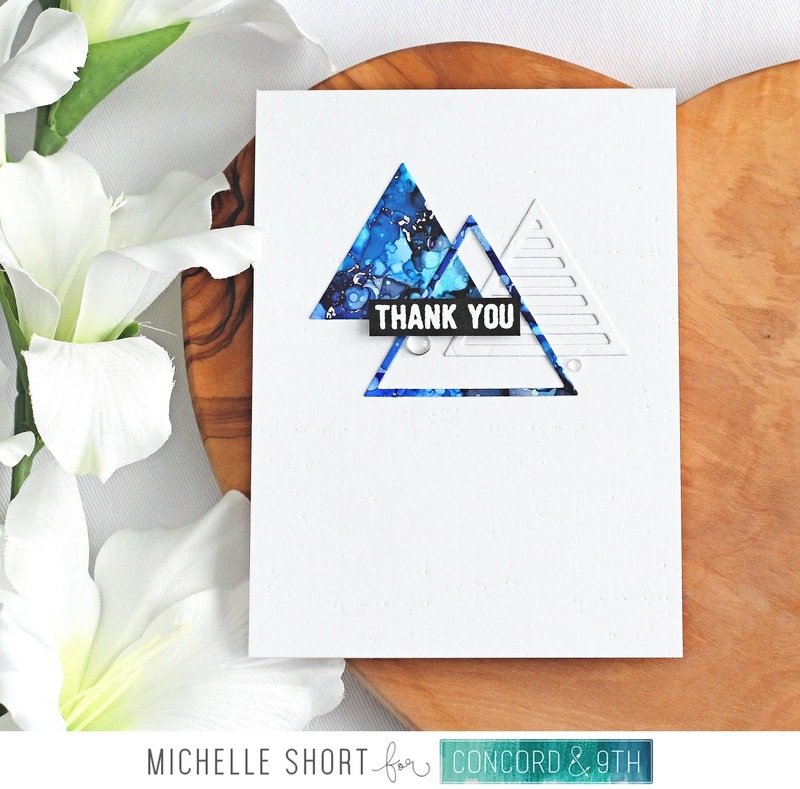 The triangles were adhered flat on to an A2 white card base with liquid adhesive. I then stamped the sentiment from the stamp set on to black cardstock with Versamark Ink. I applied white embossing powder and heat set. This was cut in to a strip and added to the card with foam tape. To finish off, I added a few Raindrops. My next card uses the circle from the stamp set. I took a panel of white cardstock and stamped the circle three times with turquoise ink. 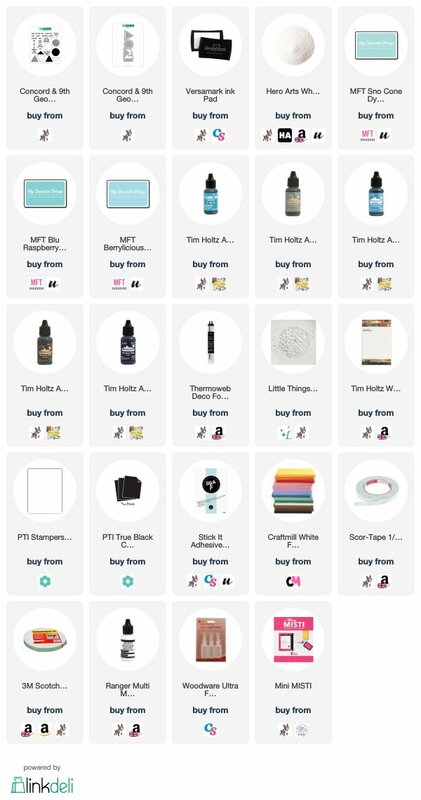 I used MFT Sno Cone, Berrylicious and Blu Raspberry. This was added to an A2 white card base with foam sheet and DST. I then took the 'hi' word from the die set and cut this three times from black cardstock that had Stick It on the back. The die cuts were layered up and then added to the card. I took the sentiment from the set and stamped this on to black cardstock with Versamark Ink. I applied white embossing powder and heat set. This was cut in to a strip and added to the card with foam tape. Two really simple cards but sometimes a few elements is all you need! A big thank you goes to Concord & 9th for having me guest with them this month. For more inspiration using this set, please head over to the Concord & 9th Blog. Thank you so much for visiting me today. Have a great day and a fabulous weekend! WOW ! These are fantastic , the colours are fabulous, the layout is funky, great set of cards.